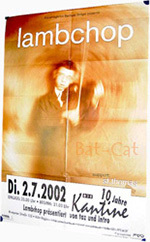 Description: 2000 Lambchop German Concert Poster. Size 24x34. Item in VG+ condition. Shipped Folded. 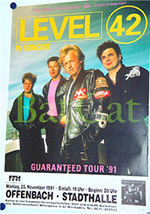 Description: 1991 Level 42 German Concert Poster. Size 24x34. Item in mint condition. Shipped Rolled. 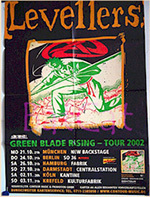 Description: 2002 Levellers German Concert Poster. Size 24x34. Item in VG+ condition. Shipped Folded. 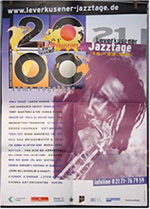 Description: 2000 Leverkusen Jazz German Concert Poster. Size 24x34. Item in VG+ condition. Shipped Folded. 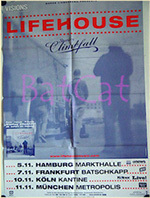 Description: 2002 Lifehouse German Concert Poster. Size 24x34. Item in VG+ condition. Shipped Folded. 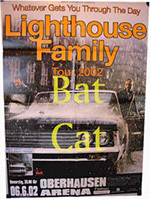 Description: 2002 Lifehouse Family German Concert Poster. Size 24x34. Item in mint condition. Shipped Rolled. 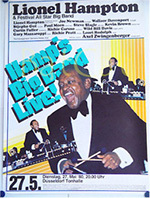 Description: 1980 Lionel Hampton German Concert Poster. Size 24x34. Item in mint condition. Shipped Rolled. 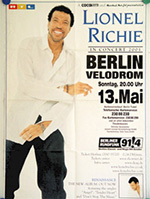 Description: 2001 Lionel Richie German Concert Poster. Size 24x34. Item in mint condition. Shipped Rolled. 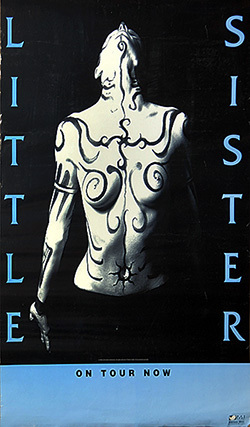 Description: Little Sister On Tour Concert Poster. Size 18x24. Item in VG+ condition. 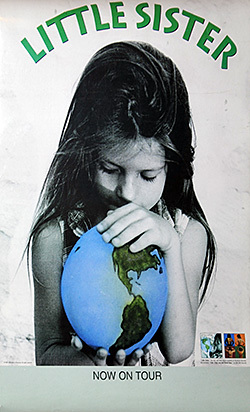 Description: Little Sister On Tour Concert Poster. Size 16x22. Item in VG+ condition. 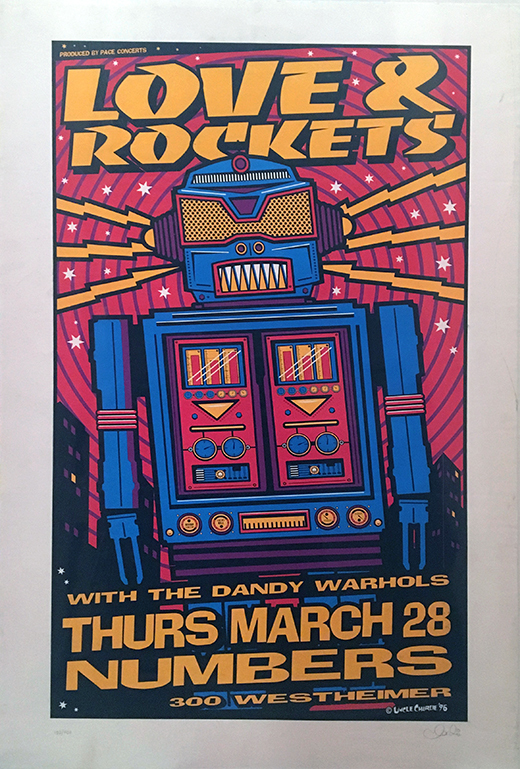 Description: Love And Rockets Houston Numbers Concert Poster. Size 21x32. 132 of 400. Signed by Poster Artist. Item in VG+ condition. 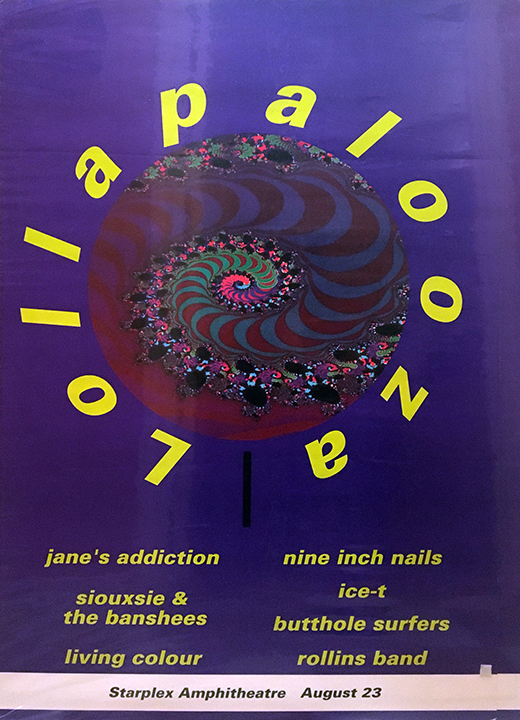 Description: Lollapalooza 1992 Starplex Amphitheater Concert Poster. Item in VG+ condition. 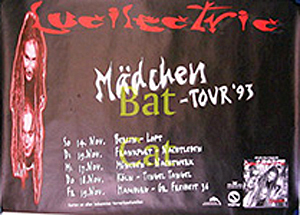 Description: 1993 Luiclectric German Concert Poster. Size 24x34. Item in VG+ condition. Shipped Rolled. 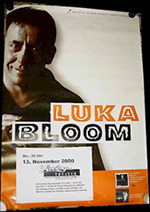 Description: 2000 Luka Bloom German Concert Poster. Size 24x34. Item in VG+ condition. Shipped Rolled. Description: Lou Reed 2000 Columbiahalle Berlin Germany Original Concert Poster. Size 24x34. Item in mint condition.